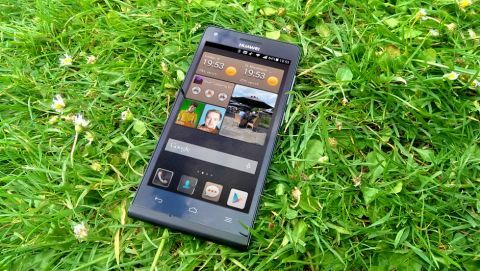 A solid offering in terms of design and value, the Huawei Ascend G6 is let down by unreliable usability and a custom UI that will divide opinion. Up against tough competition, there are better handsets available at this price. Huawei made a lot of noise last year launching its then-flagship Huawei Ascend P6, boasting that at 6.2mm thick it was the thinnest phone available at the time. A year later, the Chinese company is back with a scaled-down version called the Ascend G6, which it hopes will appeal to budget conscious customers. Going up against other budget Android handsets like the Motorola Moto G or the Samsung Galaxy 4 Mini is a big ask these days, but the Ascend G6 is not without a few headline features of its own. First up: Connectivity. Specifically, I'm talking about 4G. Huawei has built the Ascend G6 with 4G compatibility, something which is just beginning to arrive on handsets under £250. Motorola added 4G for the Moto G 4G handset that comes in at £150 and the EE Kestrel (coincidentally manufactured by Huawei itself) offers 4G, albeit locked to EE, at only £100. Likewise, the 4G-capable Sony Xperia M2 will set you back around £230 SIM-free. The Ascend G6 though, boasts CAT 4 version of the technology, which is the fastest connection available so far. Secondly, Huawei is looking to tap into the selfie crowd by equipping the Ascend G6 with a front-facing 5MP camera. Which is the same spec as the Moto G's main rear-facing camera. So, if you're fond of snapping yourself and need the fastest data connection possible – this should be the phone for you, right? The good news is that the Ascend G6 is, design-wise, about as inoffensive as a smartphone can get. Like its big brother, the Ascend P6, there's more than a whiff of Apple's iPhone 4S about it – thanks largely to the faux-metal strip running along the outside of the chassis. The 4.5-inch, 960 x 540 LCD display is bordered by a fairly sizable bezel that is most noticeable at the bottom where a plastic lip protrudes beneath the Android soft-touch navigation keys. The lip is where you'll find the small fingernail slot that lets you prise away the removable plastic back plate. Beneath this there's space for the microSIM and microSD card, as well as the non-removable 2000mAh battery. When the phone is in one piece it tips the scales at only 115g and measures 130 x 65 x 7.5mm. In real-world terms, this means it's a good size for one-handed operation and neither too heavy nor too light thanks to the plastic casing. On the right hand side are the physical volume rocker keys and the on/off power switch. Unlike most other handsets, the microUSB port can be found on the top of the device, while the 3.5mm headphone jack is located at the bottom on the left hand side of the chassis. I did find this beneficial when using headphones as the natural movement is to put the phone head-first into your pocket which, in this case, means less tangled headphone wires. A small speaker grill is built into the bottom left of the rear of the phone while the camera lens and flash are above it, tucked into the top left. Unfortunately, these particular placements can cause a bit of a problem when holding the phone in landscape mode as I found on occasion my fingers would cover the speaker when watching a video or slightly obscure the lens when taking a picture. A more sensible design would be that of the HTC One M8 with front-facing speakers and a camera lens placed more centrally. Huawei has done a better job of placement on the front of the phone with the camera lens again tucked up in the left hand corner, which makes it easy to quickly snap a one handed selfie. A small green light also appears on the right of the Huawei logo to let you know if you have an email, text message or notification that needs addressing. Powering the Ascend G6 is a reasonable ARM 1.2GHz quad-core processor backed with 1GB of RAM. While the operating system is Google's Android 4.3 Jelly Bean (no KitKat here), Huawei has overlaid it with the same Emotion UI that featured on last year's Ascend P6 and again on the newly released Ascend P7. The result is a rather more cutesy tone with some extra homegrown features thrown in that I'll address in more detail later. The aforementioned microSD card is an absolute necessity as Huawei has only loaded the Ascend G6 with 4GB of native storage space. Space that will, as expected, fill up fast when you start loading on media and downloading apps. In terms of first impressions, the Huawei Ascend G6 doesn't cut a bad figure. But I would say that the rather mature outward design of the handset jars slightly with the childish Emotion UI. Considering the price and the bracket in which the Ascend G6 falls though, it's difficult to find fault with the way the phone looks and the level of hardware that Huawei has built into it. But how does it hold up once it's out of the box and working in the real world? It's a mixed bag, read on and I'll tell you why.